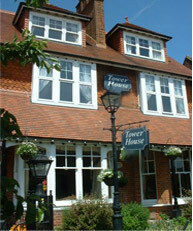 Tower House 1066 is a luxury B&B in Sussex (situated in St Leonards, near Hastings). 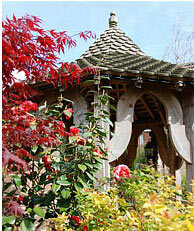 We provide special offers and packages all year round. Why not treat someone you know to some of our gift vouchers so they can book a stay? We can organise complimentary therapy weekends, tai chi retreats, special anniversary or honeymoon breaks, and overnight business meetings. Our B&B in Sussex also has special celebration packages for Christmas (all through the season's bank holidays) and for festivals and events in Hastings. Part of our ongoing refurbishment Tower House 1066 has completed redesigning two bedrooms four poster room 2 and room 11 new photos to be added soon as well as decorating our conservatory/snug room. are subject to availability, excluding bank holidays, Christmas, New Year and local festivals/events in Hastings and Battle. Can not be used in conjunction with any other offer. Telephone and email bookings only. Get in touch if you have any questions on our special offers and packages, or find out more about our rooms. 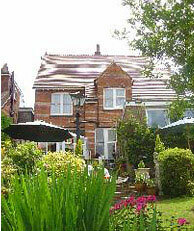 You can book our B&B in Sussex online.